FREE Sierra Stake Out moto flags while supplies last at each of the (3) meet up locations. Sometimes you feel like rolling solo, sometimes a group sounds fun too. 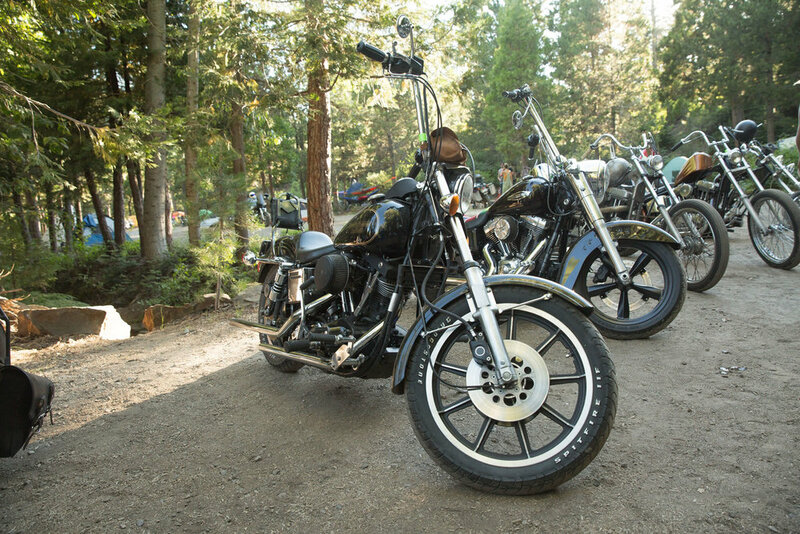 Either way you roll is fine by us but if you are looking to meet up and have one hell of a ride to the SSO2, there are (3) meet up and rides lined up from Los Angeles, San Francisco, and Reno. Each location offers some pretty rad stuff + each spot will be giving out a FREE Sierra Stake Out moto flag to riders to attach to the back of their bike while supplies last. Huge thank you to Lucky Wheels Garage LA, Iron and Resin SF, and See See Motorcycles Reno for hosting and providing a place to meet & ride. Read on and start making your plans, Sierra Stake Out 2 is only a few weeks away. Other routes can be found HERE if you are traveling light or coming from Portland, Boise, Vegas, Bay Area, LA/ Southern CA, or Salt Lake City Utah. As always, feel free to plan your own adventure if these routes don't meet your needs.